Is there a better time of year? I don’t think so. Weeelllllll maaayybeee Christmas. I got to do a Halloween party this year and I had such a blast decorating and shopping for decorations and picking out decorations and then there was all the food. It was fantastic. I love planning parties. My house was completely covered in decorations. My favorite part was when someone had to go to the bathroom. They had to walk down the Hall of Spiders to enter the Bathroom of Horrors. I completely covered the hallway with spiders and spider webs. They caught onto you at every turn creating that instant panicked feeling and turning you into the world’s fiercest ninja. I placed a homemade body in the tub and covered the walls in “blood”. This was a cheap easy project inspired by pinterest. I love pinterest. Almost every time someone tells me how creative I am, I’m like no no it’s not me pinterest deserves all the glory. There were creepy crawlies every which way you turned. Hubs made some fantastic ribs and bacon wrapped jalapeños. We had “poison” apples and I made blood spattered sugar glass cupcakes. The best part of food making for this party came from breaking the sugar glass. It was so fun. Chris recorded me doing it on my Snapchat. It made this perfect spider web effect. My grandma’s hot cider was delicious as always and makes the house smell so good. I also got all of the mini monster cans. If you download the app you can watch the monsters come to life. 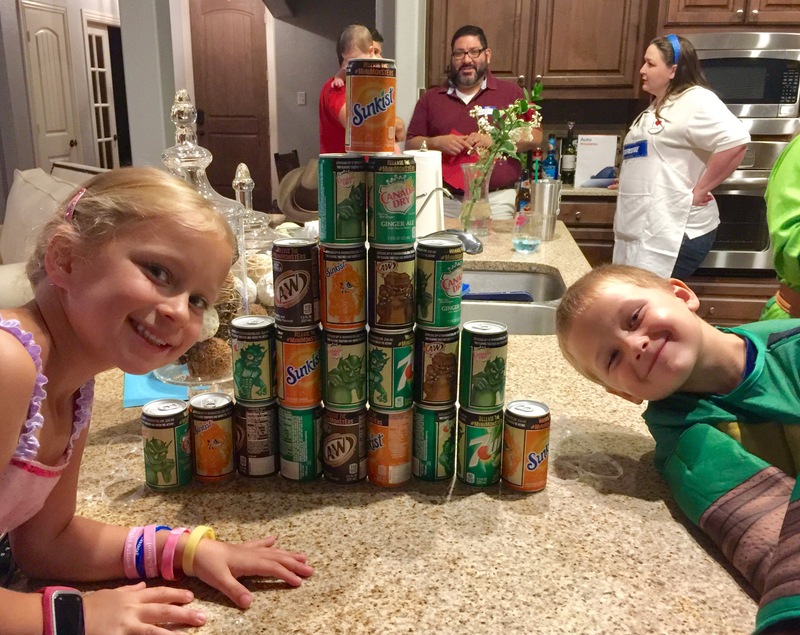 It was a lot of fun putting the cans together and watching them interact with each other lol.